So it’s finally here, one of the most anticipated tech conferences of the year. Comprising entirely of Google launches and announcements, I/O always has something great in store for both consumers and developers. This time around, the opening keynote was very developer focused and the updates to Google service API’s were quite substantial. 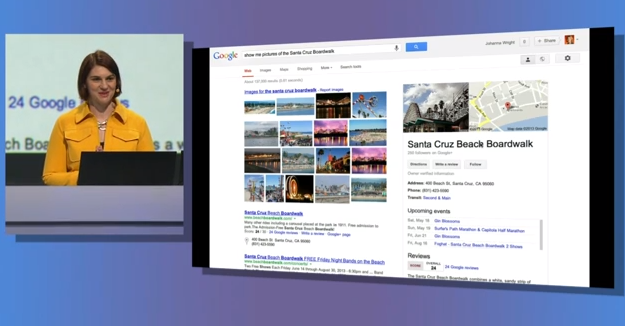 While there were no hardware launches on the first day, it was a big step forward for the web, search and maps. A highlight of the show was the return of Larry Page, the elusive CEO who disappeared from the public eye over a year ago. After his announcement of vocal cord paralysis, this was his first public appearance. A lot of announcements were made, so here’s a recap of everything that happened on day one of Google I/O! Google’s many services got an API update, including maps, cloud messaging and many others. Maps received an update that let it use cellular, WiFi and GPS satellites to accurately and efficiently find out location without using too much power. Services like Google Cloud Messaging now enjoys tighter integration with other services to allow two way messaging which brings in a great synced notifications feature, so that if you swipe away a notification on your Android phone, it stays that way even on your Android tablet, good stuff! 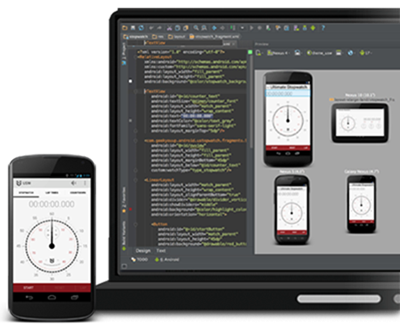 Perhaps the biggest announcement, for developers is the new IDE called Android Studio. It lets you easily create apps, their UI and even include required API’s with a single click. The best part is live code preview, which lets you see exactly how a segment or line of code would translate too in the app, plus live media preview, which lets you see icons and pictures on the fly. Similarly, there’s also a bunch of emulators built in that let you see how your app would perform on different screen sized devices. It looks like a very powerful tool that could let many more people develop apps. New developer tools included in the console also make it easier for app creators to maximize their app’s potential and monetize it effectively. Just a few clicks lets you translate the whole app into other languages via a third party translator services in a week (paid of course). There’s also the optimization tips, which provides insight on how you can make your app better. Such little changes really make it easier to make your apps more efficient. The Samsung Galaxy S4 is a great device, no doubt, but there are a couple of niggles such as the low storage space available, no app installs to SD card and the heavy UI. In a surprise announcement, a version of the Galaxy S4 running stock Android 4.2.2 was revealed that would be available by June for 650$, both network and bootloader unlocked. Basically, a developer’s dream come true. By the way, it’s the Snapdragon 600 version with LTE. 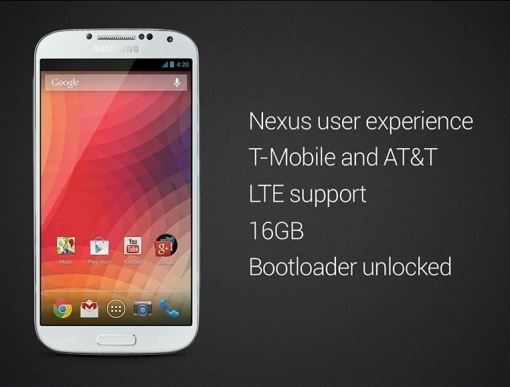 Furthermore, this device would get updates first from Google, just like a Nexus device. So does this mean it’s the end for Nexus phones? Only time will tell. To make online purchases easier, a new Checkout button will be rolled out to Chrome desktop and mobile that will simplify the process by saving all your details and bypassing all the hassle of typing so many details. The initial rollout will be only in 32 countries, so don’t be surprised if you don’t see it yet. As long as security concerns are addressed, it sounds great, we think. Similar to Xbox Live, Google Play will now sync all saved games, profiles, achievements and leaderboards across your devices and tie them to an account. Plus, there’s now much smoother matchmaking that lets you invite people right from the game! Android tablet apps now also get their own dedicated section and the recent redesign was highlighted. Google Play for Education is a new concept that lets educational institutions easily make a controlled environment in which apps can be bought and pushed to student tablets with minimal effort and billing would be done to a joint school account. Along with apps, the service would also recommend books and media from YouTube for the best learning experience, all curated by educators and teachers. To take on Pandora, Spotify, Xbox Music and so many other music streaming services, Google launched its new music streaming service and store. 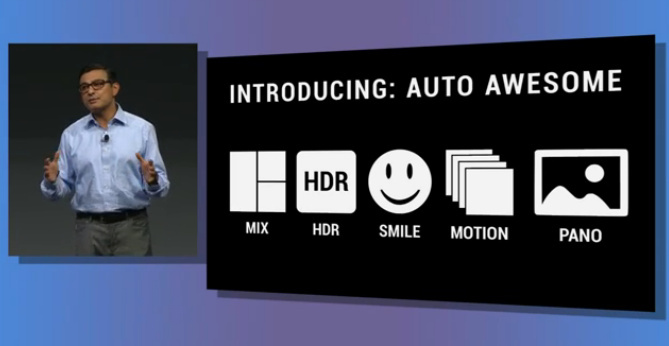 It includes recommendations, high quality streaming, lets you store your library and dynamic playlists. There’s a monthly fee of course, of 9.99$ and for now it’s available only in the US. The not so popular social network from the search giant has gotten even better with the new Flipboard like redesign. Google+ now looks much better and is much smarter as well. Scrolling over posts now shows you similar stuff you might like, and there’s integrated hashtags as well. Very sharing oriented and clean, Google+ is pushing to get more users. Google+ Hangouts is the new messaging app that replaces Google Talk. Available on Android, iOS and desktop, Hangouts is an app that lets you instant message individuals and groups as well as start video chats for free. So what’s different you ask? Better conversations that involve people more, it lets you see who is active, who is typing and apparently gives the sense of being in the same room with your loved ones. The best mapping service just got better! A completely new design includes better 3D modeling, navigation, integration with Zagat, lets your see offers for big chains in maps itself and finally a dedicated UI for tablets. Also added is a 5 star rating scale for restaurants and the like, “Incident reports” that offer insight into anything obstructing your patch during navigation and also route changes depending on traffic. It also lets you see inside building and now allows users to submit photospheres to be added to the maps, pretty cool! First of all, Google+ now lets you upload 15 GB of full resolution photos, up from 5 GB previously. Whatever you do upload, is now curated by Google and it offers fantastic improvements that automatically makes those not so great photos awesome. A clear product of the Snapseed acquisition, Google+ now includes a host of photo enhancing features including noise reduction, red eye removal, skin softening, adjust exposure and the “Auto awesome” feature, among others. It not only highlights photos based on algorithms that recognize faces and places, but also enhances them automatically if you allow it. A great new feature is Motion, that creates GIF’s from photos that it detects as a series of shots. It won’t be a Google conference if there wasn’t anything added to the already fantastic Google search, would it? Forget about typing and keywords, Google now includes far better voice search on Chrome desktop and mobile that is activated by saying “Okay Google”. Now you can ask questions instead of typing keywords, like “Okay Google, what are the attractions in Mumbai?”, and you can follow up questions as well! For example if Google listed the Gateway of India, you can simply ask, “Okay Google, how do I get there from here?”. Google understands what “there” and “here” are. This will also work on your Google+ account, like “Okay Google, show me my last Mumbai trip photos”. Of course, everything has to be properly tagged and edited for this to work, but it’s an awesome feature nonetheless. What remains to be seen, however, is that will Google recognize local accents? So those were the updates of the Google I/O 2013 conference, day one. 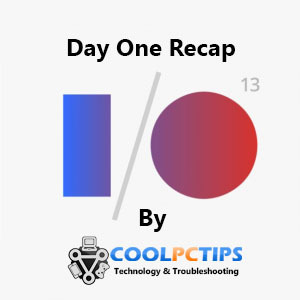 Stay tuned for more news and do let us know what you think about the Google I/O 2013 Day One Recap as well!